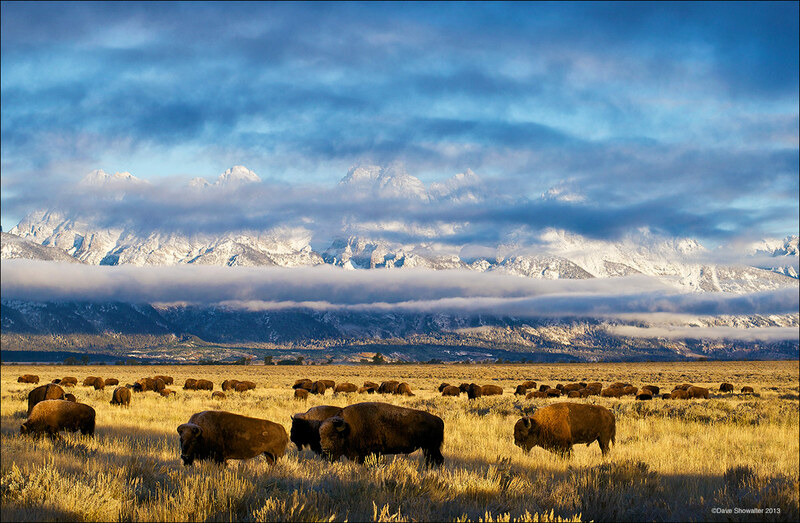 American Bison graze on Antelope Flats in Grand Teton National Park. The iconic Grand Teton backdrop is partially obscured in layers of morning clouds that are typical in Jackson Hole. Bison bison. Photo © copyright by Dave Showalter.